I’m delighted to reveal the cover of The Stepsister, my emotional thriller set between Guernsey and Holland. As with all my book covers I designed it myself, learning the hard way through trial and error what works and what doesn’t. There’s a strong element of art in The Stepsister. Victoria, the main character is a talented artist working as a children’s book illustrator. Hence the striking watercolour background pierced down the centre with an artist’s interpretation of one of the tall and narrow iconic Dutch houses. I once read that popular books are ‘the same but different’. So, as with the killer thriller genre this cover has a bright, bold script but the arty background is my idea. I hope you like it? You could say that The Stepsister took nearly forty years to write as that’s the last time I visited The Netherlands and the first time I saw the painting that inspired the book. This is a thriller with a wicked twist. But a thriller with a difference. But rather than spoil the story I’ve included the blurb below. It’s available on pre-order for 99p here. The book will officially launch on October 29th. 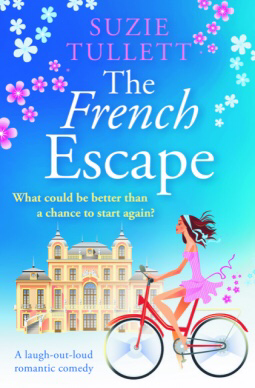 If you’re a book blogger and would like to receive a complimentary ARC please do get in touch via Twitter (scribblerjb). She should never have let her go… That was Victoria’s first mistake. When a stranger leaves stepsisters, Victoria and Ness, a half-share in a house in Holland, they think it must be a mistake. 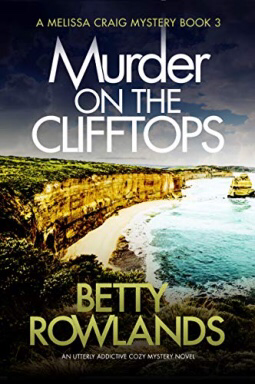 Desperate for the truth, Victoria travels from Guernsey to Holland to find out what’s happened. Has Ness, as her texts show, embarked on a whirlwind romance? Has someone abducted her or even worse? What she doesn’t know is there’s someone watching, and that person wants her dead. 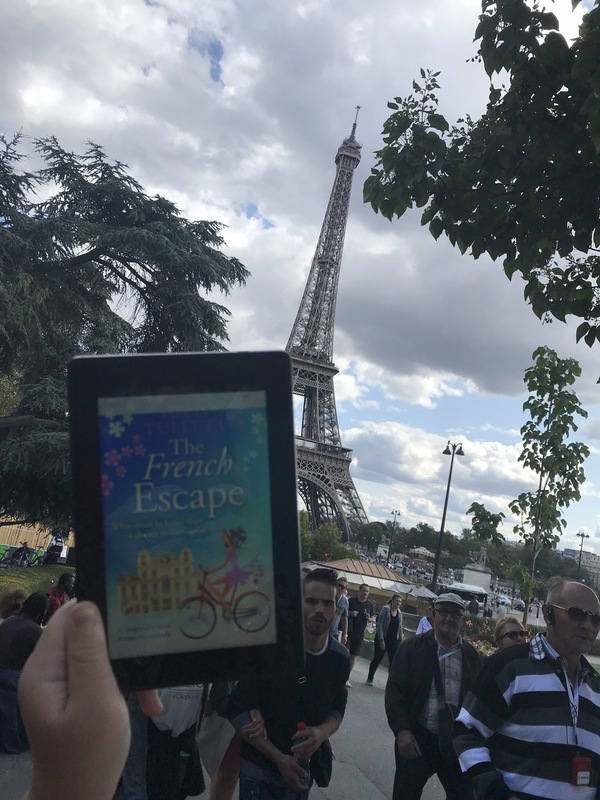 What better book to take on my recent trip to Paris, as you can see from this Book Selfie. This is a delish read. From the gorgeous cover, probably the prettiest I’ve seen this year, to the stylish writing that encompasses all things French. Flick has had a terrible year following the death of her father and desertion by her husband just after the wedding. When her mother, Brenda, suggests a stay in a Brittany Chateau she’s not all that impressed. She’s even more confused when she turns up to find…. well you’ll have to read that part for yourself. There’s Nate, around every corner. Just what is he doing living in a cottage on the estate? There’s a mystery here, one she’s determined to solve. Georgine loves Christmas. The festive season always brings the little village of Middledip to life. 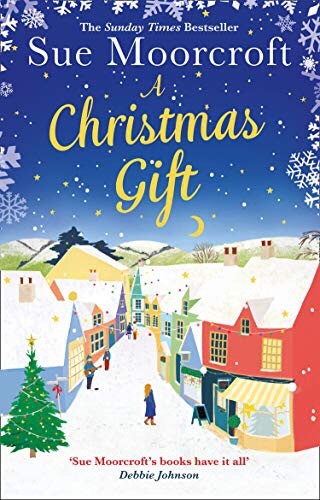 But since her ex-boyfriend walked out, leaving her with crippling debts, Georgine’s struggled to make ends meet.To keep her mind off her worries, she throws herself into organising the Christmas show at the local school. And when handsome Joe Blackthorn becomes her assistant, Georgine’s grateful for the help. But there’s something about Joe she can’t quite put her finger on. Could there be more to him than meets the eye? The accidental governess…After her livelihood slips through her fingers, Alexandra Mountbatten takes on an impossible post: transforming a pair of wild orphans into proper young ladies. However, the girls don’t need discipline. They need a loving home. Try telling that to their guardian, Chase Reynaud. The ladies of London have tried—and failed—to make him settle down. Somehow, Alexandra must reach his heart . . . without risking her own. 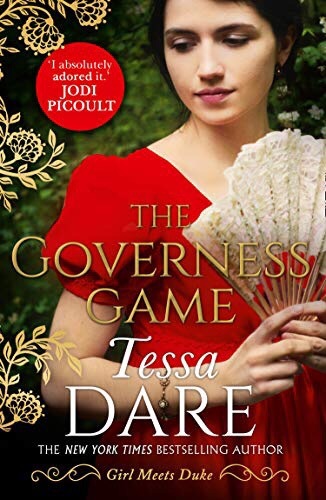 This is my first Tessa Dare novel but not my last. I loved the start. Alexandra falling in love with a stranger following a chance meeting in a bookshop, a stranger who turns out to be a scoundrel on all levels. A year later, following an unfortunate accident Alexandra finds herself governess to his unruly wards. Both Chase and his wards need work and who better to instil some discipline? Beautifully crafted, I raced through this in a couple of sittings. If there is one criticism there were a couple too many bedroom scenes than I’m used to but that’s all a matter of personal choice. 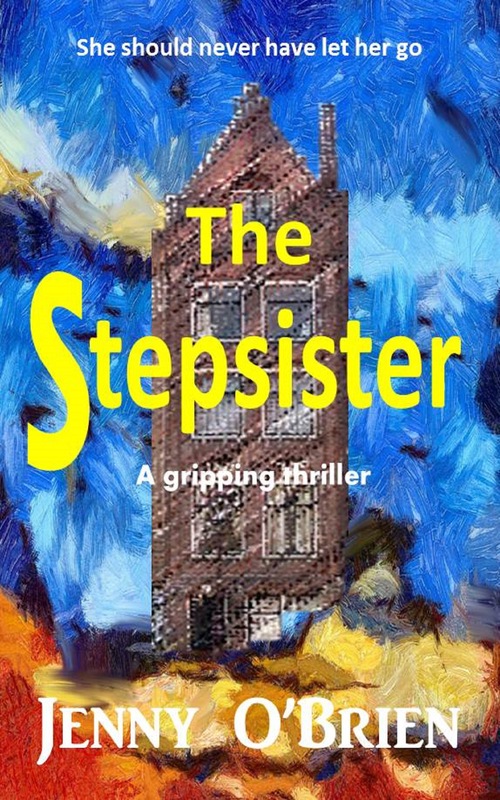 THE STEP-SISTER, an emotional psychological thriller will be published shortly. A story that originated from a school trip to Holland when I was sixteen. It’s available to pre-order for 99p. 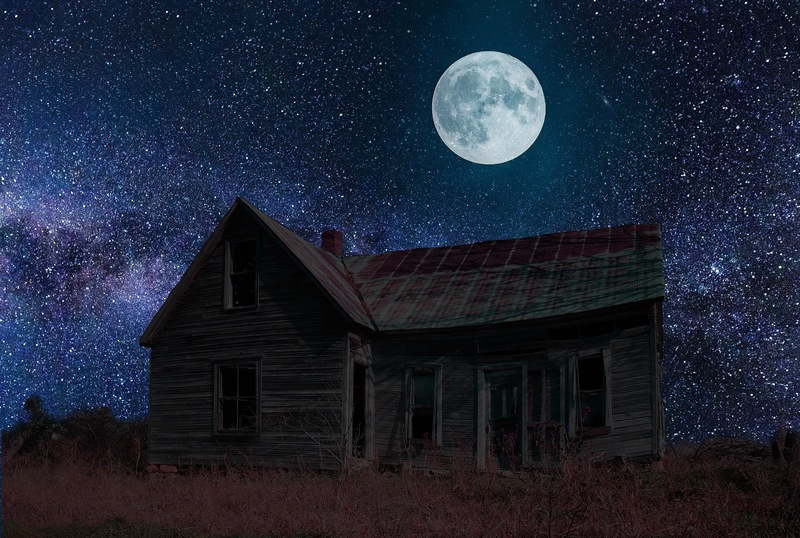 Cover reveal – the 17th September. Book launch – the 29th October. 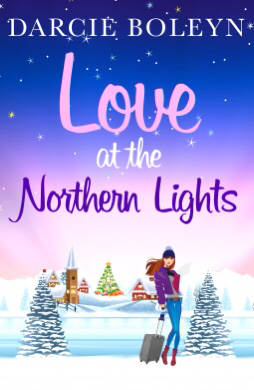 When a stranger leaves step-sisters, Victoria and Ness, a half-share in a house in Holland, they think it must be a mistake. But there’s no mistake when Ness goes missing.